The 2014 Best of Honolulu Awards - Brain Fitness Hawaii has been selected for the 2014 Best of Honolulu Award in EEG Neurofeedback, Biofeedback Therapists category by the Honolulu Award Program. This recognitition is given to those companies that have shown the ability to use their best practices and provided exceptional value to Hawaii. Hana Yin is a doctor of Philosophy and Master in Business Administration. EMOTIONAL TRAUMA - is not a solid physical form, but an energy. Ms. Hana completed Ayahuasca Curandero Initiation Course at Iquitos Peru with Shipibo Shaman. She realized that energy blocks inside one's body are the root cause of many illnesses. Shipibo Shaman also taught her plant-based medicine to heal emotional trauma. Sensory integration is another important part of healing. Ms. Hana earned her Hatha Yoga Teacher certificaiton at Ashram located in Rishikesh India. 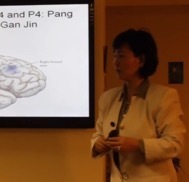 Implementing yoga, Qi Gong and hearthmath breathing, Dr. Hana has been able to relieve many people's pain and suffering through various experential techniques incorporated within Neurofeedback braining. HearthMath Coherence training, EEG Neurofeedback, Regression Therapy and Sensory integration are primary methods of healing. 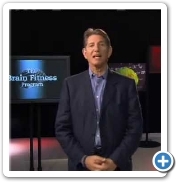 Her Neurofeedback training technique focuses on heart opening Alpha brainwave training following the classic teaching of Dr. James Hardt Ph.D and Dr. Bill Scott PhD. ANXIETY has become uncontrollable in today's fast-paced world. We are over stimulated, threatened and powerless in times of ever increasing amount of fear and worry. Brain training transforms anxiety. We address anxiety by training your brain like training a polo player. If stress were a ball on the polo field, your brain is the polo player who controlls the ball; not the ball (Anxiety) controlls you. POOR SLEEP has been linked to neuropsychiatric impairments, cardiovascular disease, metablolic disease and decreased work productivity. More than ever, it has become clear that if one is not sleeping enough and well, then health and life quality are at risk. Insomnia tends to be correlated with a state of hyperarousal, in which the brain has become "stuck" in a state of relative high frequency beta brainwave dominance. ADDICTION is our human's yearning going back HOME. Visiting John of God in Brazil opened Ms. Hana's heart Chakra to be able to feel immense sufferings of the world, and fully comprehend the nature of addiction. Imagine the POWER you have to unlock your brain and heart's potential to heal! By now, you are offered the golden key to new skills and insights required to experience love, harmony and peak performance. BALANCE YOUR BRAIN . LOVE YOUR LIFE .